Grand Rapids, MI averages 29.1 degrees F in winter. You need a well-insulated garage door to keep the heat inside and the cold out. There's no better way to understand the quality of our products than to watch them being tested against others in a lab. Your door is only as good as its installation. 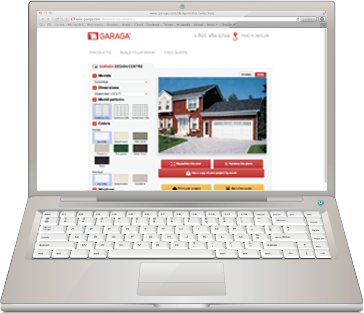 That’s why GARAGA offers its customers a network of certified installers. 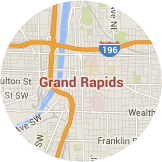 In Grand Rapids, MI you can benefit from over 44 years of experience! What other customers from Grand Rapids area say about Garaga? Check out the website! You can look at how your garage door will look before you order! Read more about Bouma Bros. Sales and Service Inc. According to a cost-value study made by the magazine “Remodeling”, midrange projects to replace a garage door cost on average $1,433 in Grand Rapids. In fact, houses in Grand Rapids, MI recoup an average of 80.5% of their garage door cost when they are sold. Buying a new garage door represents a major investment. You have high expectations and you want to choose the best from among the multitude of options available! In addition to revealing the personality of the occupants of a house, a well-chosen garage door enhances the visual appearance of a property and consequently its resale value. Therefore, doing business with a company specialized in this field is a proven winning strategy. Our GARAGA garage door experts in Grand Rapids, MI are familiar with the climate and the architecture of the region, which allows them to offer you sound advice for finding the garage door which is best suited to your home, while ensuring that it will perfectly integrate into the environment. - Optional accessories to facilitate the use of your garage door and of your door opener: battery backup, MyQ system, external digital keypad, etc. Why do the experts in Grand Rapids, MI consider LiftMaster as the most trusted garage door opener brand? 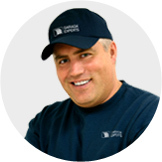 Based on their vast experience in the field, the experts in Grand Rapids, MI recommend LiftMaster garage door openers for obvious reasons: quality, reliability and durability. In fact, the incredible durability of this garage door opener brand has never disappointed the professionals in the field, and this, from the very beginning. The LiftMaster brand, manufactured by The Chamberlain Group, occupies the leading position on the market, as it responds to the changing needs of the industry, while offering products which are both reliable and innovative. Another aspect that is highly appreciated by property owners and experts in this field is the safety provided by LiftMaster products. The safe operation is ensured by the infrared system technology which detects the presence of an object or a person nearby when the door is in operation. In addition, their door openers are both easy to use and versatile. They can be installed on all garage doors models and respond to a multitude of special needs. For example, for a garage attached to the house, you could choose a quiet door opener to avoid disturbing your family when coming in or going out. Installing a garage door requires know-how and experience. 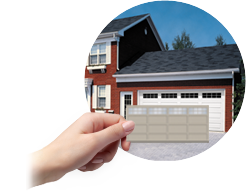 By entrusting the installation of your garage door to our experts in Grand Rapids, MI, you have the guarantee of enjoying an efficient, durable and safe system. Your door will be reliable because it will be well balanced and weatherproof. There will be no risk of premature wear. You will have a garage door that can be easily opened and closed using one hand. Our professionals in Grand Rapids, MI, install, repair and maintain residential or commercial garage doors with the greatest care. Do not hesitate to sign up for our annual maintenance program in order to avoid potential problems. In addition to saving you time and money, our team will inspect your garage door and perform preventive maintenance. Thus, you will enjoy your freedom and the tranquility and comfort of your home. Bouma Bros. Saled and Services Inc.